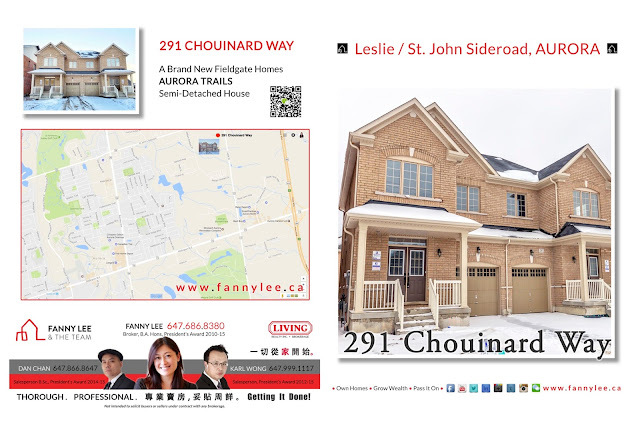 Part of Fieldgate Homes' newly developed Aurora Trails community at SW corner of Leslie Street and St. John Sideroad, this brand new 2-storey semi-detached is open, bright with very practical floor plan offering plenty of space and possibilities for your family. 291 Chouinard Way is conveniently located: near shopping plazas, entertainment complex, banks, high ranking schools (Rick Hansen PS #460/2900, Dr. G.W. Willian SS #193/623), golf courses, Highway 404 and GO Station. Contact us for more information or a private showing. 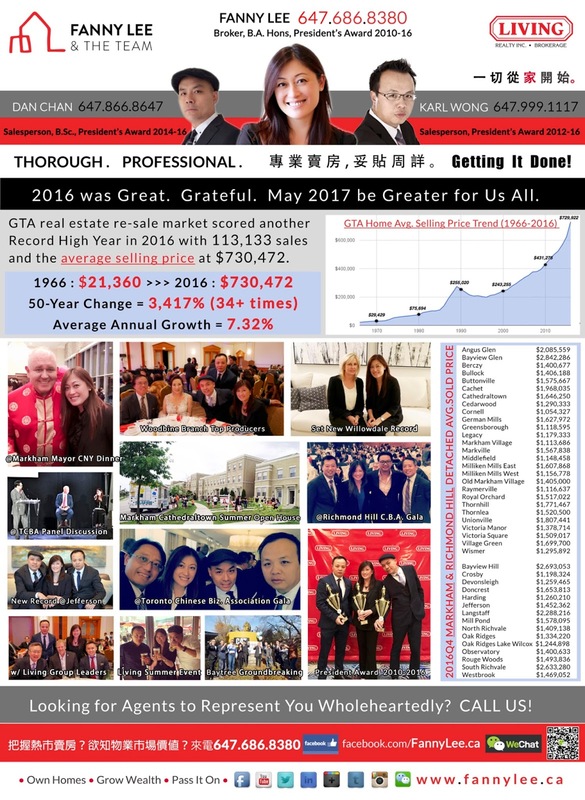 > shared the 2016Q4 average selling price of detached houses in Markham and Richmond Hill communities. Want to know the market price of houses in your own neighbourhood, contact us. Spring is here: 14°C, fog and light rain. It feels like renewal. Everything is energized and ready to go. 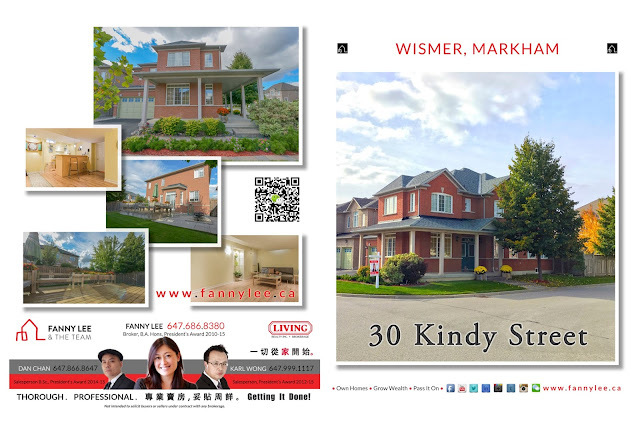 This #HappyMonday, we would send a big, heart-felt congratulation to our seller clients in #Wismer, #Markham. 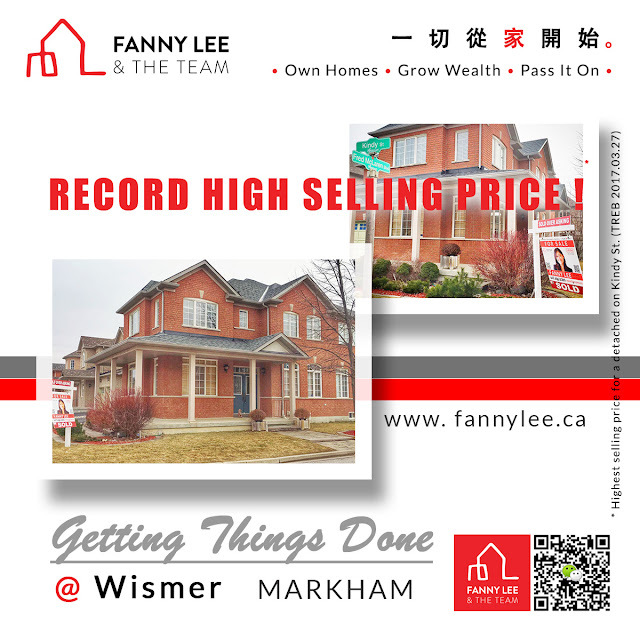 With preparation, patience and dedication, we together sold this property with the street's #HighestSellingPrice. What a great way to start off this Spring! 在這個 #開心星期一, 特別送上誠意的祝賀、衷心的祝福給我們在 #萬錦市 Wismer 的賣家。 我們憑準備、耐心和專注, 一起以 #全街最高價 售出他們物業 - 春天的好開始! Today is the birth date of Albert Einstein. #TuesdayQuote features a quotation of his. How true! To move forward, one must keep going and keep adjusting. In August 2016, British Columbia (BC) implemented 15% Foreign Buyer Surcharge for their real estate purchases. Subsequently, there have been discussions and debates whether a similar levy is to be implemented in Ontario. Toronto Real Estate Board (TREB) "cautions against the imposition of provincial foreign buyer tax surcharge." TREB's survey last Autumn indicated, "only an estimated 4.9 per cent of GTA transactions, in which TREB REALTOR® Members acted on behalf of a buyer, involved a foreign purchaser. The vast majority (80 per cent) of foreign buyers purchased a home as a residence, a home for another family member to live in, or as an investment to rent out to a tenant." TREB suggests the provincial government to explore policy changes that are not only demand-focussed but also supply-focussed. 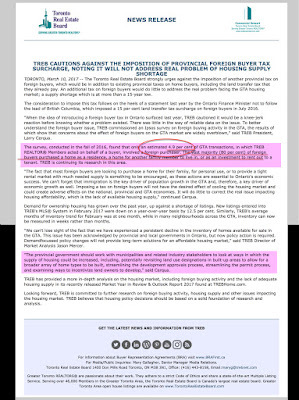 "The provincial government should work with municipalities and related industry stakeholders to look at ways in which the supply of housing could be increased, including, potentially revisiting land use designations in built-up areas to allow for a broader array of home types to be built, streamlining the development approvals process, streamlining the permit process, and examining ways to incentivize land owners to develop," TREB President Mr. Cerqua. TREB 總裁 Cerqua 先生: "省政府應該與市政府和業界研究不同增加房屋供應的方案: 例如, 改變現有用地規劃、簡化地產發展計劃審批過程、加速發放批准文件工序, 或獎勵地主發展。"
On the eve of International Women's Day, this #TuesdayQuote is of Margaret Thatcher.
" 若果要講說事情, 去找一個男人; 若果要成就事情, 去找一個女人。"
Our featured 30 Kindy Street is a corner detached house located in the popular Wismer community with a 270° panoramic view / light exposure. With a huge wrap-around veranda, custom-built deck, beautiful landscaping in both front and back yards, professionally finished basement plus access to Bur Oak Secondary School (Ontario's Top 10), 30 Kindy Street will be a great place for your family to flourish. Not to be missed! 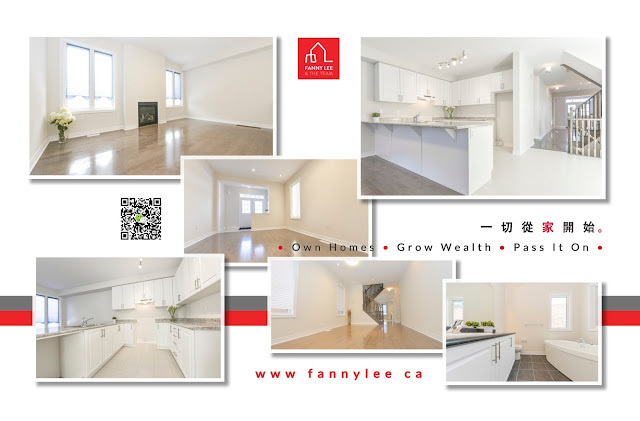 [MLS N3716878] "Stunning Corner Lot Detached House W/Extra Windows & 270-Degree View. Approx 2800 Sqft. 4 Bed 5 Bath Loaded W/ Upgrades & Features. Hardwood thru out. Prof. Finished Bsmnt W/ Wet Bar. 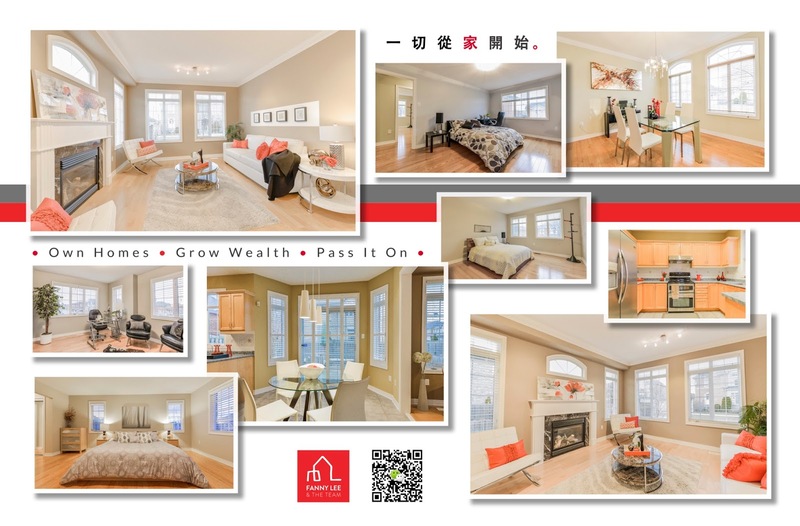 Fenced Private Yard W/ Custom Deck & Interlock Stone, Beautiful Landscape, Spacious Master W/ 5Pcs Ensuite, 2nd Bedrm W/ 4Pcs Ensuite, Kitchen W/ Ample Of Cabinetry, Eat In Kitchen, 2nd Flr Computer Niche, Verdana. Excellent School Zone Bur Oak. Must See." 正尋找一間 #萬錦 方便一家起居飲食、光猛開陽、又可入讀安省 Top 10 Bur Oak 中學、兼在有人氣受歡迎（即具潛力）社區？那一定要看 在 Wismer 的 30 Kindy St.